Most often you will find the filtration unit of the Cleone water purifier located under the sink and out of sight. Kuna asked us to design a way to build brand awareness by putting the brand in plain sight. 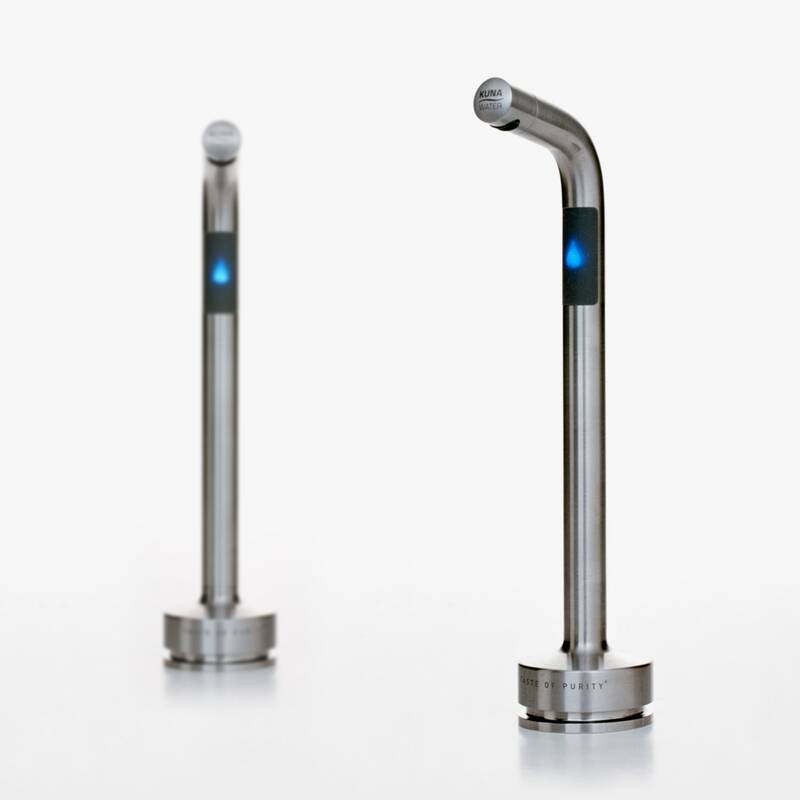 We created the Taste of Purity faucet, which combines grace and practicality. The brushed steel stern is free from knobs or sensors. The only detail is a drop-shaped blue light that lets you know that the purification system is working and alerts you when it is time to change the filters or service the unit.